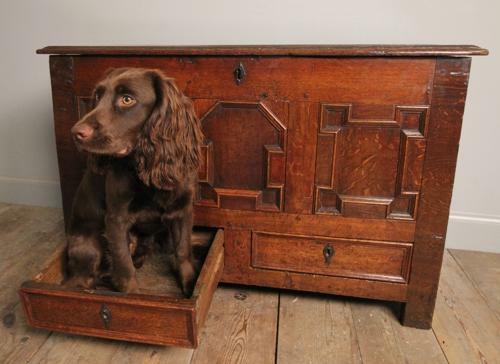 A rare late 17th Century Oak coffer of small proportions, with shaped panelled sides and geometric panelled decoration to the front, having 2 drawers with decorative Iron escutcheons, the whole raised on stile feet. Superb rich colour and patina throughout. Original finish. English, Late 17th Century.